One of my favourite things to do is read blog posts that compare more expensive products with less expensive ones. Another of my favourite things to do is wear anything that’s the colour pink. 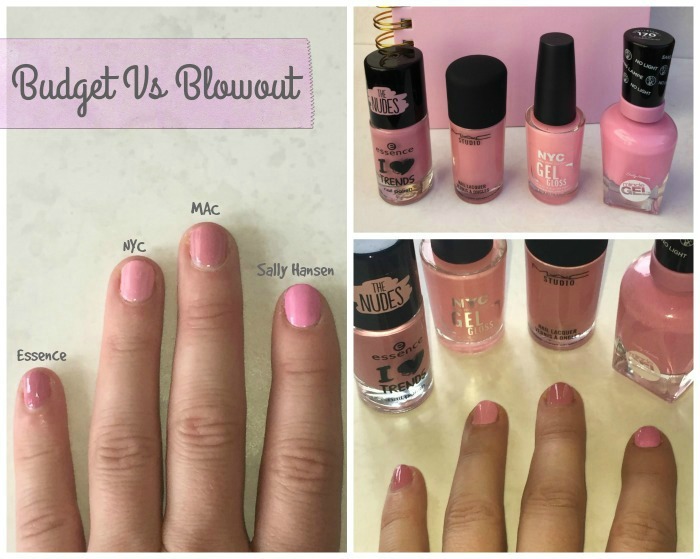 So I took on the task to trial four fabulous pink nail polishes, testing them for a week with a different polish on each finger, to find out if paying a few extra euro means that your nail polish will lasts longer. I’ll give you my initial observations and keep reading for the final verdict! This is a fantastic little find. At an unbelievable price of €1.89 it’s hard to beat. Shade wise this is a lovely deep pink and I really liked the deeper tone of it. I like a largish brush to apply polish, so I was a little let down by the size of the brush (but that’s just me). But without making too much of a mess, the polish went on well with no streaks. Two coats of this polish was perfectly adequate to get a good, shiny finish. For the price of a protein bar and a steal at €1.99 you can grab yourself this pretty polish. The main selling point is that it claims to last up to 10 days. Well keep reading…! Shade wise this is perfect for summer – the pastel pink is so pretty with a tan. I liked the thicker brush, which means in just a few strokes your nail is coated. However it does take a little longer to dry than your normal polish, so beware. It definitely requires two coats, but you get a lovely shiny and thick finish. MAC’s Snob lipstick is one of my all-time favourite summer staples. I wear it all the time on holidays and I was very excited to try it on my nails. Price wise, this was the second most expensive at €10.00, so I had high hopes. Snob is warmer as a polish than it is on the lips, and it has a jelly finish. The brush was decent but still small for my tastes. I found the formula to be quite light, and it did streak a fair amount. It needed three coats before I was satisfied although I really liked the finished result. These gel wear nail polishes have claimed to be as good as your salon Shellac. The miracle gel is a duo system where you apply two coats of colour and one of the special top coat. In the interests of fairness, for this experiment I didn’t use the top coat. The polish itself is €13.49 and the most expensive one I trialled. From the moment I opened the bottle I was impressed with this polish. The brush is fantastic: it’s shaped perfectly for easy application and large enough so it really does smooth out ridges. It goes on evenly, dried quickly and there was no smudging or streaking. I used two coats. So, after a full seven days of rocking multi-shades of pink, I found the results very interesting. 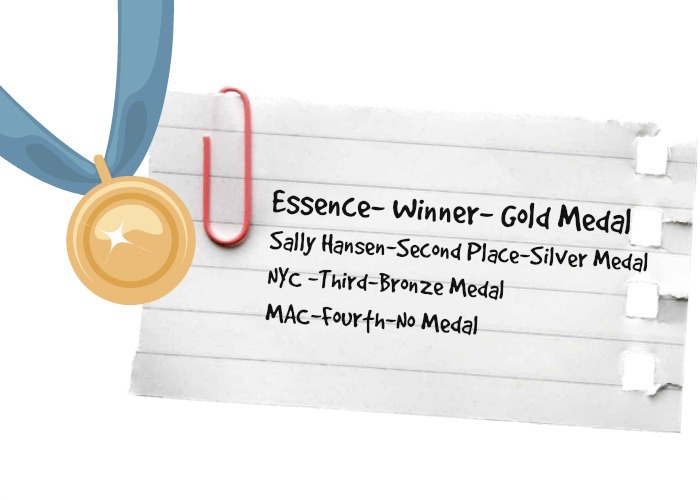 Without a doubt the winner hands down was Essence “The Nudes Collection”, which lasted right up to day five without chipping. Sadly MAC chipped after day three and it really didn’t stand up to the rest of the nail polishes, which I found disappointing for the price. On close inspection, Essence shade 07, Hope for Love, is an absolute DUPE for MAC Snob ...with much better staying power and less than 1/3 of the price. Both NYC Gel and Sally Hansen were very much on par in terms of chipping: they stayed chip free till day four. 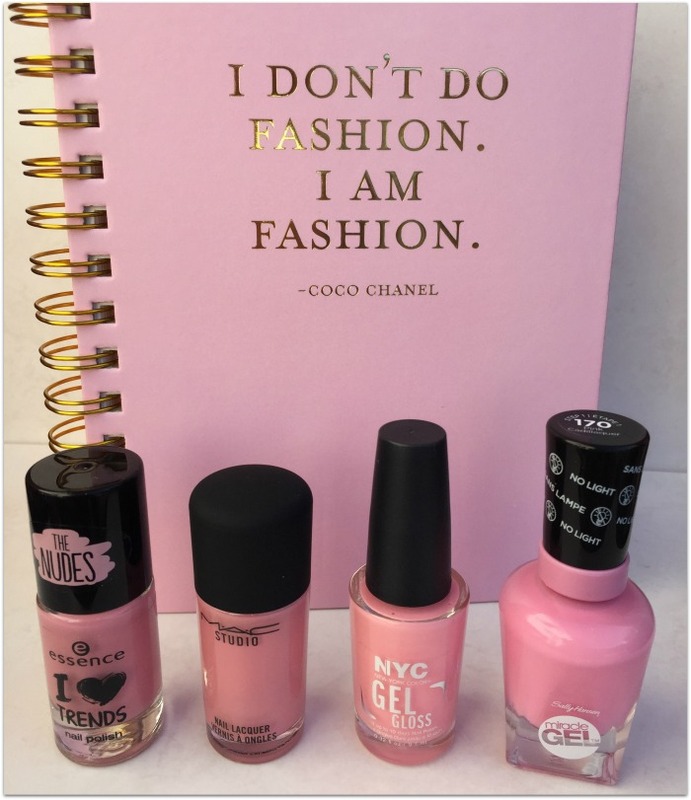 For me, I adored the Sally Hansen tone of pink and it kind of stole my award for the Summer Pink nail polish of the year, and it ticked all my boxes in terms of the brush, bottle and formula. But for longevity, NYC Gel definitely gave it a run for its money. Do you spend or splurge on your nail polish - or do a little of both? 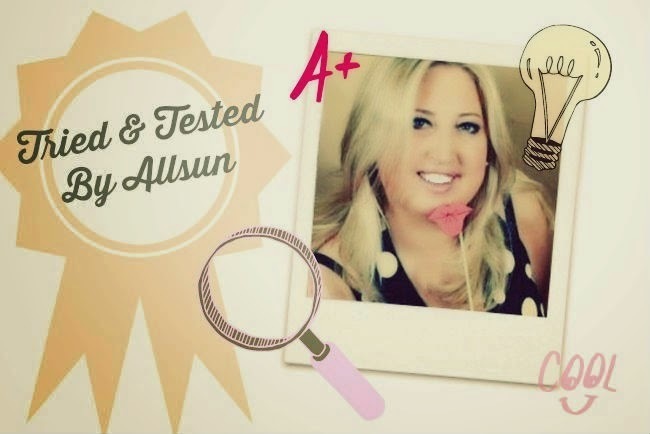 See what else Allsun's been loving lately!